Please note: Changing your description, links, and images are not currently available within our mobile devices. 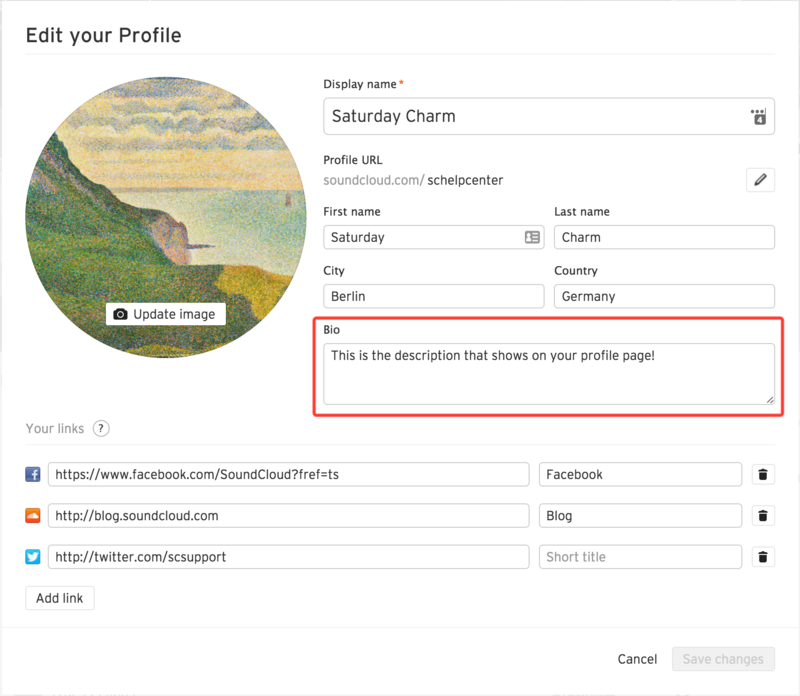 You can add whatever you'd like in the profile description field to tell your listeners who you are, include a brief biography or introduction, plus links and other relevant information. Descriptions have a limit of 4,000 characters and cannot include HTML formatting. You’ll still be able to add links to descriptions, but they will display as full URLs rather than displaying text that links. Here you can also fill out your name and country, so your fans know where you are based. Here you can add up to 10 links to share your website, or other social networks with your fans. Add a link to your Twitter account in this section of your profile to ensure that your Twitter handle is included in the pre-filled text when fans share your tracks on Twitter using the Share button. 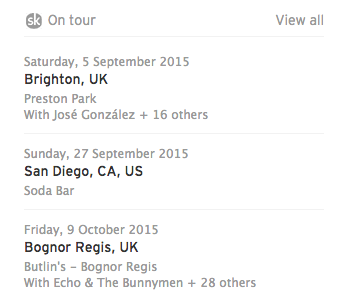 Add a Songkick or Bandpage URL to your profile's web links, and we’ll automatically display your upcoming shows on the right hand side of your SoundCloud profile. We currently have some social icons available which will automatically appear when you add your link.